Remember that song 'Black & Gold' by Sam Sparro? Well that would be the theme tune for this collection. But really, did you expect anything less from Moschino? 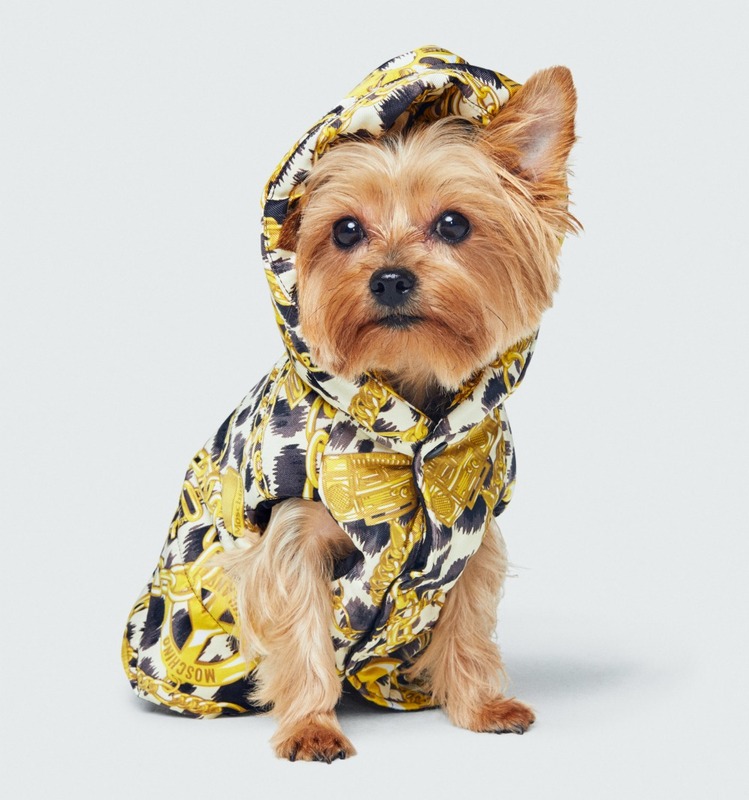 The luxury label's creative director Jeremy Scott has taken Moschino's famous lust for rich gold set against jet black in bold prints and used it to create a capsule collection with high-street giant H&M. Having previously teamed up with the likes of Versace, Matthew Williamson, Jimmy Choo and Lanvin to name-drop just a few, H&M know how to incorporate a luxury label's identity into their own street wear. Thus delivering something that oozes designer quality, on a lighter budget. What's not to like? The ethos behind this most recent collab is simple: A celebration of positivity, love and diversity. Aiming to showcase everyone's unique personality, MOSCHINO [tv] H&M has been created to allow anyone and everyone to explore self-expression. "This is a loud and proud collection for everyone to share in the fun, no matter who you are or where you are from, "says Ann-Sofie Johansson, H&M's creative advisor. So much so that Jeremy Scott actually used his closest family and friends to craft the look book, saying "Whenever I design, I think about my friends. The MOSCHINO [tv] H&M lookbook is like a party; celebrating the fun, the pop, the creativity and the energy of the people and the collection." And boy, it certainly does that. The heavy golden chain motifs that run throughout ooze street-style and even the high-heeled boots did not escape Moschino's desire for constant attitude. To break up the overarching black and gold palette, pops of pillar box red and hot pink have been injected into the pieces too. Staying true to the brand's heritage, Scott has created both apparel and accessories that scream 'I like to dress up and have fun'. They also scream 'I really like gold' too. Exclusive to H&M, the collection will be launched worldwide and available at H&M Orchard Building and ION Orchard stores, plus online, on November 8. Like all these luxury collections we except long queues, mad crowds and a darn quick sell-out. Oh and if the above doesn’t get you excited, there are even doggy items in the collab too, including two coats and a lead. Because, Moschino.